Officials observed that any further Chinese build up in the upper reaches of the plateau would be a matter between Thimpu and Beijing. New Delhi: The Indian government told a parliamentary panel that it intervened during China’s road-building exercise in southern Doklam due to the danger of the tri-junction being pushed further south and directly threatening the Siliguri corridor, but observed that any further Chinese build up in the upper reaches of the plateau would be a matter to be dealt between Thimpu and Beijing. A draft report of the Parliamentary Standing Committee on External Affairs on Sino-Indian relations, including on Doklam, provides a detailed account of the government’s view on the unfolding of the 72-day stand-off, with the help of testimonies from former foreign secretary S. Jaishankar and his successor Vijay Gokhale, as well as defence secretary Sanjay Mitra. While the draft report, seen by The Wire, was not tabled as scheduled in the just-concluded monsoon session, a copy has been handed over to the Ministry of External Affairs. On June 16 last year, a People’s Liberation Army team of around 70-80 personnel with 10-12 bulldozers were seen trying to build a motorable road from Doka La to Zompelri near the Bhutanese post. This, foreign secretary Jaishankar told the panel in October 2017, would have “brought them absolutely to the Siliguri corridor area”. He was referring to the narrow strip of land connecting mainland India with the northeastern region. After the Bhutanese failed to turn back the Chinese, Indian troops came down from the Doka La post to confront them, initiating the longest ever face-off between the two army giants at Himalayan heights. Bhutan officially lodged a protest with China on June 20 through their mission in New Delhi. On the same day, a border personnel meeting was also held between India and China, where the latter announced that Indian mansarovar pilgrims will not be allowed to use the Nathu-la route. When the media got wind of returned Indian pilgrims, there was finally a hint in the public sphere of a major issue brewing behind closed doors. Thousands of our readers believe that free and independent news can be a public-funded endeavour. Support The Wire and join them. China revealed some of what was happening when its foreign and defence ministries issued coordinated statements on June 26, accusing Indian border troops of crossing into Chinese territory. Three days later, the Bhutanese foreign ministry issued a statement saying that China had violated agreements of 1988 and 1998 that the two sides would maintain status quo, peace and tranquillity in their border areas pending final settlement of boundary. On June 30, the Indian external affairs ministry stated for the first time that Chinese actions in the Doklam area “represent significant change in status quo with serious security implications for India”. While Chinese rhetoric continued to be soar, with PLA spokesperson reminding India about “historical lessons”, senior Indian functionaries, including defence minister Nirmala Sitharaman and national security advisor Ajit Doval, were visiting China for various BRICS-related meetings. Diplomatic channels were being activated, but it took a few words at the highest level for the start of serious talks. It was the July 7 chat between Narendra Modi and Xi Jinping at the G-20 Hamburg summit that “initiated diplomatic communications with the Chinese side in Beijing to seek resolution of this issue”, reiterated Jaishankar. At that time, the MEA had only said that both leaders had a “conversation on a range of issues”. Overall, Jaishankar said that “13 rounds of diplomatic discussions were held”, led by then Indian ambassador to Beijing Vijay Gokhale and augmented “from time to time” by officials from Delhi. As talks went on behind the scenes, the official Chinese propaganda continued at a high pitch, with statements every other day from official spokespersons, newspaper articles and briefings for foreign countries. 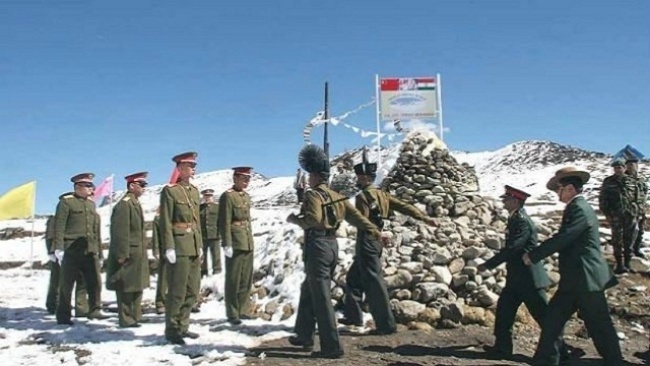 In the first week of August, the Chinese foreign ministry issued a 15-page note titled ‘The Facts and China’s Position Concerning the Indian Border Troops’ Crossing of the China-India Boundary in the Sikkim Sector into the Chinese Territory’, based on which the Chinese deputy chief of mission held a media briefing in Delhi. During his testimony, Jaishankar admitted that “none of us at least in recent memory have seen this kind of ratcheting up of political tensions that we saw during those 72 days”. In India, there were occasional background briefings, but largely by former officials who were not directly part of the government. Foreign diplomats complained that unlike the Chinese side, Delhi gave briefings only after a specific request from a country. During the height of the crisis, the Chinese embassy had organised a reception to mark 90 years of PLA in Delhi. Chief guest at the event was a senior office of the Indian Air Force and it was attended by Bhutanese ambassador V. Namgyel. Meanwhile, on August 15, 2017, there was an unusual physical encounter between the Indian and Chinese troops on the shores of Pangong Tso lake in Ladakh, with stone throwing and jostling. Jaishankar told the panel that it was a “very unusual occurrence”, but asserted that there was “nothing to suggest that there was any connection between what happened here (Pangong Tso lake) and what was still happening in Doklam”. From the beginning of the Doklam crisis, China had claimed that the 1890 Anglo-China treaty had “settled” the boundary in the Sikkim sector and therefore, Indian troops had traversed through Chinese territory to reach the stand-off point. This was “contested” by the Indian side, which noted that the “written common understanding” reached by then special representatives Shivshankar Menon and Dai Bingguo in December 2012 had tackled the tri-junction point and boundary alignment in the Sikkim. From India’s perspective, the entry of Chinese troops at Zompelri would not only allow them higher ground over the Siliguri corridor, but was also an attempt to move the tri-junction point further south. India considers the meeting point of the international boundaries of the three countries near Batangla Pass, while China views that it has a more southern location at Gymochem. During the negotiation rounds, India also argued that the 2012 understanding’s “point number 12” was about a mutual agreement that the 1890 convention was the “basis of alignment” of the India-China boundary in the Sikkim sector. The foreign secretary explained to the members of parliament that India’s position on the Sikkim boundary was balanced by a single phrase. In their note, the Chinese also quoted a line from a March 22, 1959 letter by Jawaharlal Nehru to Premier Chou Enlai, to claim that Nehru had accepted that Sikkim boundary as defined by the 1890 convention and demarcated in 1895. Jaishankar revealed that India protested at Chinese attempts to “selectively quote” Nehru’s letter to “misrepresent” the Indian position. An interesting approach taken by India to convince China to resolve the Doklam stand-off was that any dispute between New Delhi and Beijing would encourage other countries to fish in troubled waters. 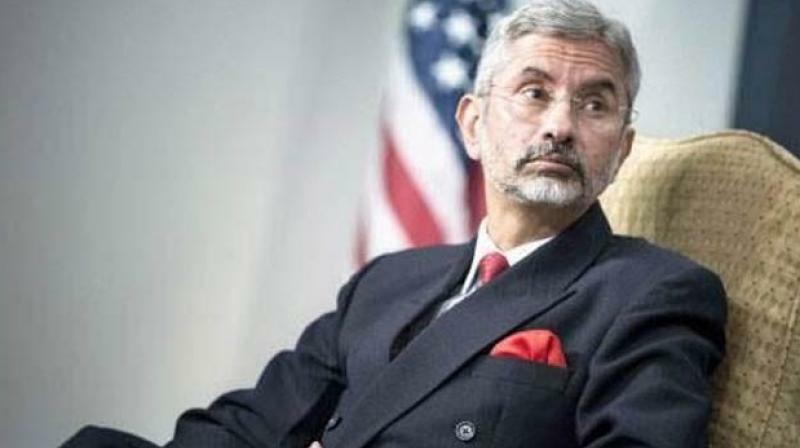 Jaishankar noted that India even conveyed that “on our part, as a gesture of goodwill, we were willing to take the first step to break the impasse”. After about eight weeks of talks, India’s MEA announced “expeditious disengagement of border personnel at the face-off site at Doklam has been agreed to and is on-going”. In Beijing, the foreign ministry spokesperson stressed that India had first withdrawn on August 28 at 2:30 pm from the stand-off site, followed by the Chinese troops. The following day, the Chinese foreign ministry spokesperson maintained that Beijing’s options remained open in answer to a question on whether the PLA would now stop building roads in Doklam. However, Jaishankar added that it was his hope that India’s “firmness” with respect to the Jampheri ridge and Siliguri ridge would deter China from unilaterally attempting to change the trilateral junction. The standing committee members quizzed senior Indian government officials repeatedly on media reports about continuing build-up of Chinese troops and improving accessibility in the Doklam region. The MEA has repeatedly asserted publicly that status quo has been maintained at the face-off site and in the vicinity, which was also restated by Jaishankar and Gokhale in their briefings to the standing committee. The former foreign secretary explained that the source for information about Chinese activity was “line of sight”. The Indian post’s line of sight were from “7’o clock, 8’o clock angle”, while the Bhutanese side were “4 o’clock, 5 o’ clock angle”. Jaishankar defined a transgression of the August 28 status quo as “what I can see very directly in front of my eyes, which would be that if the Chinese came down where they were there to the face-off site and then proceeded downwards into the Jampehri (Zompelri) ridge with the construction equipment”. In contrast to the Doklam face-off site, Jaishankar was not willing to be explicit about Chinese presence in the rest of plateau. Earlier, he had also stated that there was a “no real-time number fixed on the number of Chinese soldiers, who may be beyond the Batangla-Merugla-Sinchela ridgeline”. He insisted that the presence of Chinese soldiers in northern Doklam “was an issue with which Bhutan would be focussed on”. Similarly, Gokhale also stressed that if there was a Chinese military presence in the rest of Doklam which was not directly threatening the Indian periphery, it would not be a matter of India’s direct concern but for “China and Bhutan to sort out”. The standing committee also observed that while confirming Chinese activities, Indian officials expressed a more “ambivalent view” about “other areas” of the Doklam plateau. While there may not be a direct threat from Chinese troops, the parliamentary panel urged the government to “err on the side of caution”. He speculated that the ‘informal summit’ at Wuhan could have yielded more assurance which has allowed Indian officials to “sound” confident in their testimonies that Doklam will not recur. Overall, the standing committee report “does not reveal anything new”, said Joshi. “But all it does is give clarity on government of India’s thinking and basically puts everything that was informally said on the record,” he added. The parliamentary standing committee commended the government for “overall handling” of the crisis, with the officials themselves expressing high praise for the resolution. Joshi pointed out that there was not much clarity on why India had not objected to previous Chinese road-building in Doklam, which had enabled them to start eying the Jampheri (Zompelri) ridge. Delving into history, Jaishankar noted that Chinese incursions into Doklam were recorded as early as 1966. India had handed the protest note to China as the Indira Gandhi government was handling Bhutan’s foreign policy. Over the last 15 years, the Chinese had built two road alignments across the Sinche la Pass and the Merugla Pass leading to North Doklam. There was also additional pathways on “favourable terrain”, he stated. Most of these track construction activities had ended in 2007, which also marked the start of a decade of PLA teams increasingly transgressing into the Doklam plateau in the last ten years, Jaishankar said. In 2007, a Chinese patrol team destroyed bunkers of the Indian army in the Batang La area. India had, however, not directly blocked any of these Chinese ‘transgressions’ in north Doklam till June 2017. Jaishankar asserted that Chinese activities in north Doklam were not seen in New Delhi as having any links to the tri-junction point, and therefore did not pose a direct security threat. “I was ambassador in 2009 and 2010 in Beijing. If you had asked me in 2009 or 2010, would I have instinctively connected a Chinese transgression into Doklam as an attempt to force a tri-junction, in all honesty I have to say, ‘Probably not’,” Jaishankar told the Indian MPs, candidly. Defending previous lack of intervention when Chinese troops were constructing roads in Doklam, he stated that “it would be unfair to my predecessors and other people involved in China policy to say that every time the Chinese cross the Batangla-Merugla-Sinchela ridge line, that was the attempt at changing the tri-junction”. After listening to the official testimonies, the panel concluded that PLA took advantage of the absence of Bhutanese troops on the Batangla-Merugla-Sinchela ridge line. “The Committee would, therefore, recommend that India should persuade Bhutan to increase its troop deployment in the area of North Doklam so as to dissuade PLA from making direct ingress into Southern Doklam in future and trying to shift the tri-junction point towards Siliguri, causing a security threat for India”. 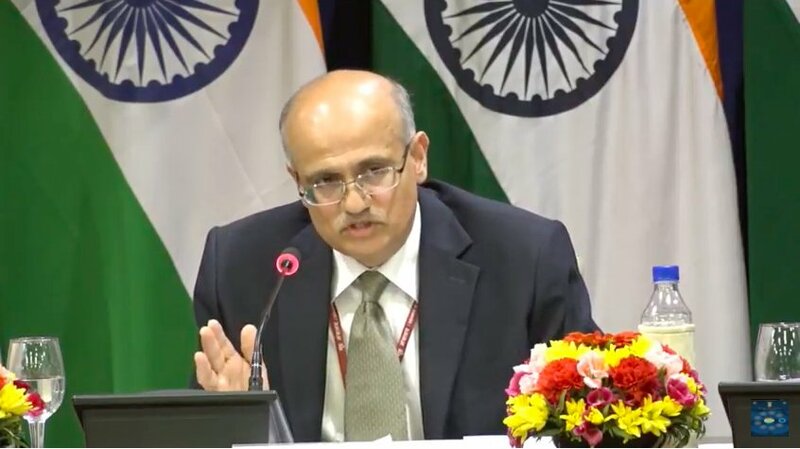 When asked by an MP, Gokhale said that the “suspension of defence cooperation” between India and China was not just a related to Doklam, but also a series of other events in 2017. This included the visit of Dalai Lama to Arunachal Pradesh, as well as, India’s critical stance on Belt and Road Initiative. This year, China informed India that it will resume military exchanges – one of the key takeaways from New Delhi’s perspective from the Wuhan summit. Last month, a PLA delegation visited India with a reciprocal trip by Eastern Army Commander Lt Gen Abhay Krishna. The parliamentary standing committee hearings focused not just on Doklam, but also other aspects like India’s Taiwan policy. The Indian foreign secretary described India’s declaration of the “Ambassador of so-called Republic of China” as persona non-grata on December 30, 1949 was an “irretrievable step”. In measured language, Gokhale noted that despite no official recognition, the trajectory of India’s relationship with China, whether in terms of number of agreements, official presence or trade, has been moving upwards. Bilateral trade between India and Taiwan stood at $6.35 billion in 2017, with Taiwanese investment amounting to around $6 billion. Last month, state-run Air India changed Taiwan to Chinese Taipei on its website ahead of a deadline imposed by China. Referencing this amendment, the parliamentary panel believed that India’s “conventionally deferential foreign policy” was not helpful and called for deeper ties with Taiwan. China’s alleged lack of sensitivity to Indian concerns, like the China-Pakistan Economic Corridor or the UN listing of Masood Azhar, is a running theme for the Indian MPs comprising the panel. 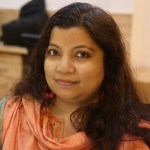 In another part of the panel report, the committee suggests that if China is blocking the listing of Masood Azhar under UNSC resolution 1267, India “should not hesitate to point out China’s poor track record at UNHRC in respecting human rights in Tibet, Xinjiang and with respect to other dissenters in its territory”. Earlier, Jaishankar explained to the panel that India and China are actually on the same page on their views that the UN Human Rights Council should not be used for “finger-pointing” at any country. There was concern expressed by the MPs about the alleged Chinese strategy to dole out infrastructure projects in India’s neighbourhood. “The Strings of Pearls is real,” said the Indian foreign secretary adding that New Delhi’s opposition to the Belt and Road Initiative and renewed stress on connectivity projects was borne out of this perception. A previous report of the standing committee had also dwelt on this aspect of Chinese infrastructure projects in the neighbourhood, where Gokhale had admitted that “appearance of free money or cheap money as well as the quick execution of projects” had found many takers. On the matter of trade issues with China, Jaishankar’s frustration was palpable in the statements attributed to him in the latest draft report. “I say this as having been ambassador for five years. This was my number one issue and we made no progress. They would keep promising, but not do anything. They have millions of non-tariff barriers,” he said at the hearing in October 2017. Four months later, his successor Gokhale said that “no serious efforts have been made to reduce trade deficit”. He noted that the substantial difference in the Indian and Chinese trade figures was “virtually impossible to reconcile”. Earlier, Jaishankar had said that with trade deficit not improving, there was a certain belief Chinese firms should be encouraged to invest in manufacturing in India. 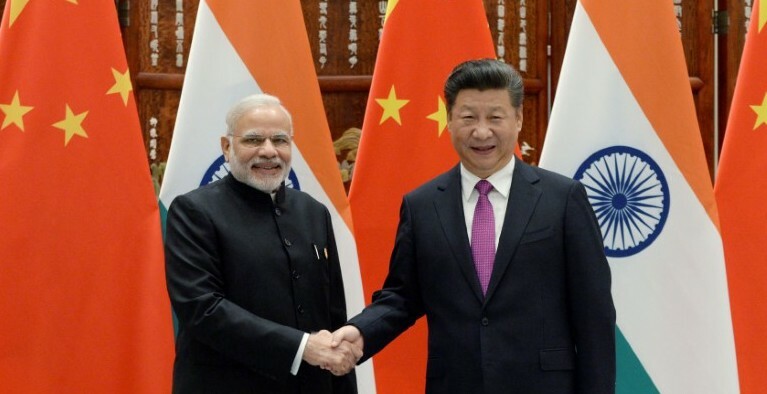 In the first bilateral visit following Modi’s election in 2014, Chinese President Xi Jinping had committed to an investment of $20 billion over a period of five years. Gokhale admitted that “very little” of Chinese investment had materialised, despite “no particular discrimination” against their firms. “I think the reasons are fairly obvious. The economy is slowing down in China. They need to keep jobs there. The last they would like to do is transfer those jobs to India, and therefore expedite our own economic growth, which ultimately will become a challenge for them…,” India’s foreign secretary told the parliamentary standing committee in February this year.